Google Maps satellite view is pretty impressive, but it doesn’t provide the detail or the features that Google Earth offers. 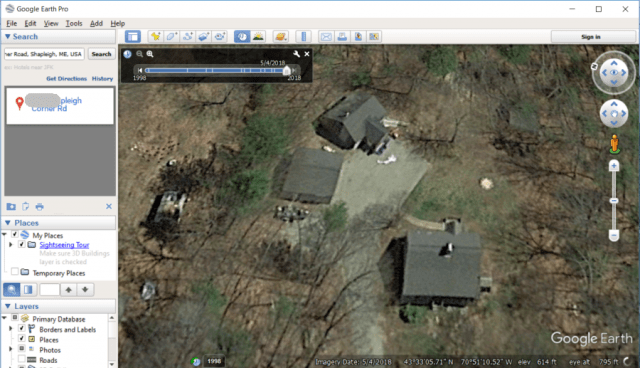 For example, look at the satellite view in Google Maps of a rural house in Maine. The view above is as close as Google Maps lets you zoom into the action. 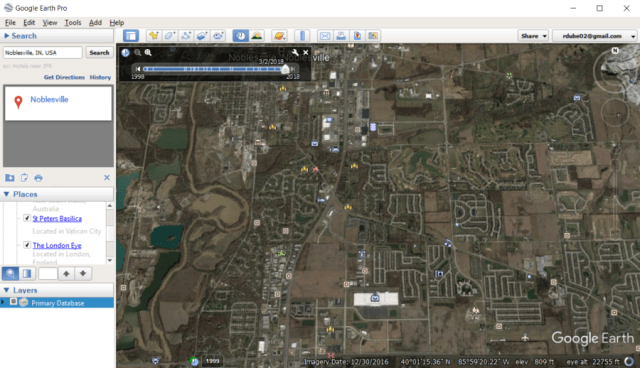 Google Earth, on the other hand, lets you continue zooming almost to ground level. Not only does Google Earth provide higher resolution satellite imagery at a much higher zoom rate, but it also lets you swivel the camera perspective, view how the location has changed over a timeline, and “land” down to ground level to view the landscape topography of an area. This satellite view example above goes back as far as 1998. 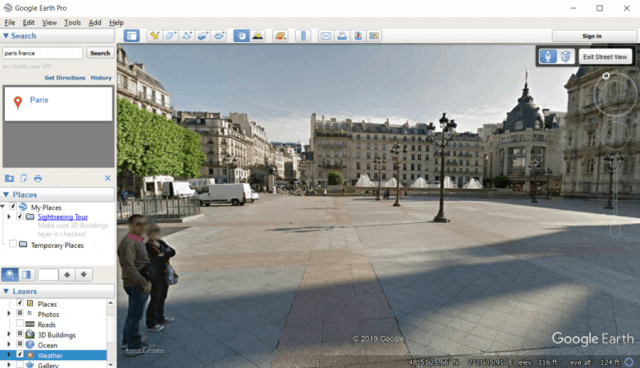 In areas visited by Google frequently, you can zoom down to the ground and take a 3D “walking tour” of the area, such as this example in Paris, France. Each tool has its place. If you want to plan out a driving route of an area, Google Maps is the way to go. It provides traffic information, driving navigation, and many other features that are valuable for planning a trip. But if you’re looking to get an in-depth view of an area before you visit it, Google Earth is the right choice. You can essentially view detailed satellite images of the area, and explore the location on the ground. It’s a great way to plan out your walking tours, choose the best locations to see in person and identify hidden gems you’d have a hard time finding otherwise. Use the search field in the top left to enter your street address. You’ll see your address in the search results. Click it to fly down to that location. Zoom in closer to get a detailed overhead satellite view of your home. You can drag the man icon to the street to get down to ground view. Beyond address search, Google Earth lets you find any location on Earth by business name, GPS coordinates, and even keywords. Google Earth lets you take impressive sightseeing tours of areas you’ve always dreamed of visiting. Take the Great Pyramids of Giza, for example. 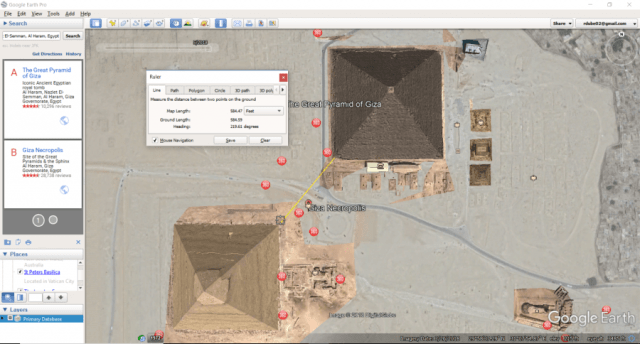 Search for the Great Pyramid of Giza in the search field, and you’ll fly over to an overhead satellite image of this magnificent Pyramid. At any location, you can zoom down to ground view to get a simulated look at what buildings and the landscape looks like from the ground. When you’re touring a location that has Street View imagery, you can tap the Street View icon and see what that location will look like when you’re visiting it in real life. This is why Google Earth is such an impressive tool for exploring the planet and discovering new places. Before you take your next vacation, Google Earth is an invaluable tool for identifying the best places to add to your itinerary. If you want to explore new places without all the work, you can take one of Google Earth’s many prepackaged virtual tours. 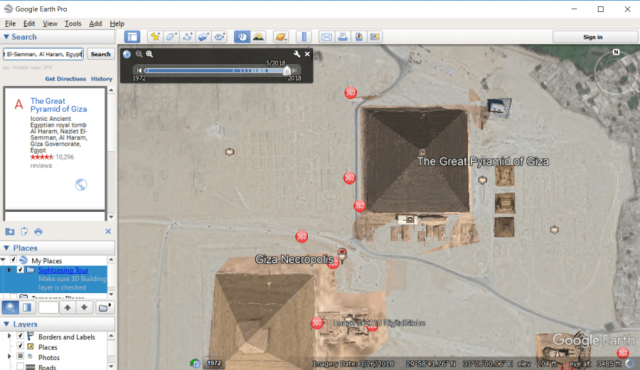 To access this feature, you’ll need to load Google Earth in Chrome. Then click on the Voyager app in the left navigation pane. You can browse through this database of virtual tours, and then pick one by clicking on it. Just launch the tour, and let Google Earth bring you through beautiful buildings and other locations you’re sure to want to visit on your next vacation. Click on Tools in the menu, and click Enter Flight Simulator. In the pop-up window, you can choose between flying an F-22 or an S-22 propeller airplane. Choose which airport you’d like to take off from. The simple controls are PgUp and PgDn to increase or reduce the thrust. Use the arrow keys to turn left, right, up or down. Use Insert and Enter for rudder left and rudder right. 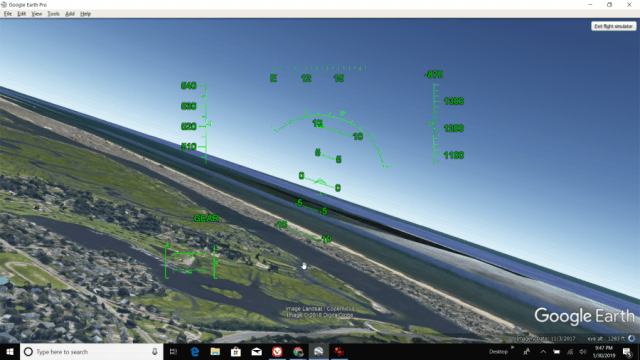 If you recall the original Microsoft Windows Flight Simulator of years ago, this is a lot like that. And the plane is just as difficult to fly as that was. But if you can get your plane airborne, touring beautiful places across the world from the sky is a truly amazing experience. If you’re going on a hiking trip in the mountains, wouldn’t it be cool to measure out the actual length of different hiking trails? Or imagine researching different areas of the world by measuring distances or areas of famous landmarks right from the comfort of your couch? 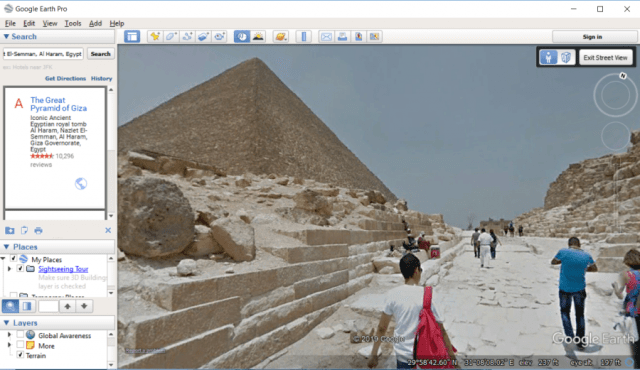 With Google Earth’s Ruler tool, you can do just that. To launch the tool, visit the site you want to measure. For example, maybe the Great Pyramids. Then launch the tool by clicking the Tools menu and clicking Ruler. Draw lines or paths to measure distance and get an elevation profile. Use polygons to measure perimeter and area. Create circles to measure radius, area, and circumference. 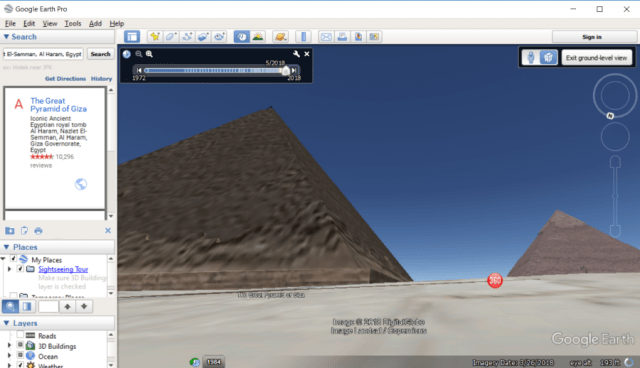 Use 3D paths and polygons to measure buildings and objects. One of the most amazing things you can do with Google Earth is to see how different areas have changed over time. Many communities across the world have been seeing the effects of urban sprawl. On the outskirts of cities, you can see how just a few years ago, some areas were nothing more than farmland and homes. Using the timeline slider in Google Earth, you can fast forward a decade or two and see just how dramatically the area has changed. In urban areas around every city, you’ll see the proliferation of new housing communities, businesses, and apartments. 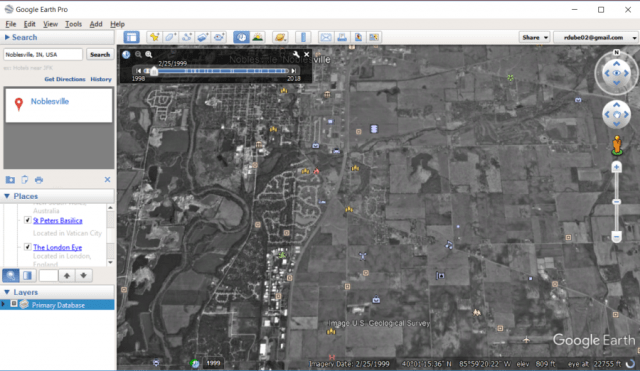 Use Google Earth to view your own community and see just how dramatically things have changed over the years. Take a look at natural resources like forests and the coastlines. The effects of humans on the Earth become very apparent when you start playing around with the timeline tool on Google Earth. In Google Earth Chrome view, you have access to the same weather patterns that weather forecasters do. To launch this layer, just search for Current Weather Radar, and click the Current Weather Radar layer. This will bring up a map of the earth with current rain and snow weather patterns overlaid on top. You can see where all of the current precipitation is, and where it’s headed. Why bother with inaccurate weather forecasts and TV or radio when you can keep an eye on the weather patterns yourself? You may come up with your own (far more accurate) forecasts! As you can see, Google Earth is an underappreciated and underused app. Thankfully, now there are more ways than ever to access it. On the Google Earth download page, you can get it for your desktop, for iOS or Android, or just run it right on Google Chrome. Give it a shot and you’ll discover just how useful it can be.